The Days of Johann, an agility dog! 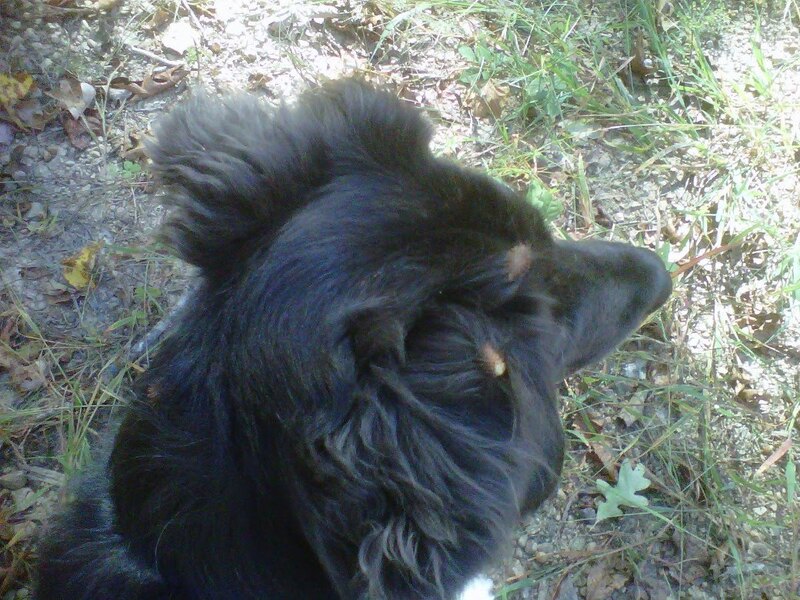 : Ever wonder where burrs come from? Ever wonder where burrs come from? Never thought about it myself. Never wondered where burrs come from. I get 'em, Mum gets 'em off me. That's it, right? 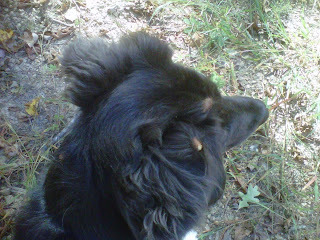 If you get in the brush as much as we do, you also find lots and lots of different kinds of burrs (also spelled, burs). 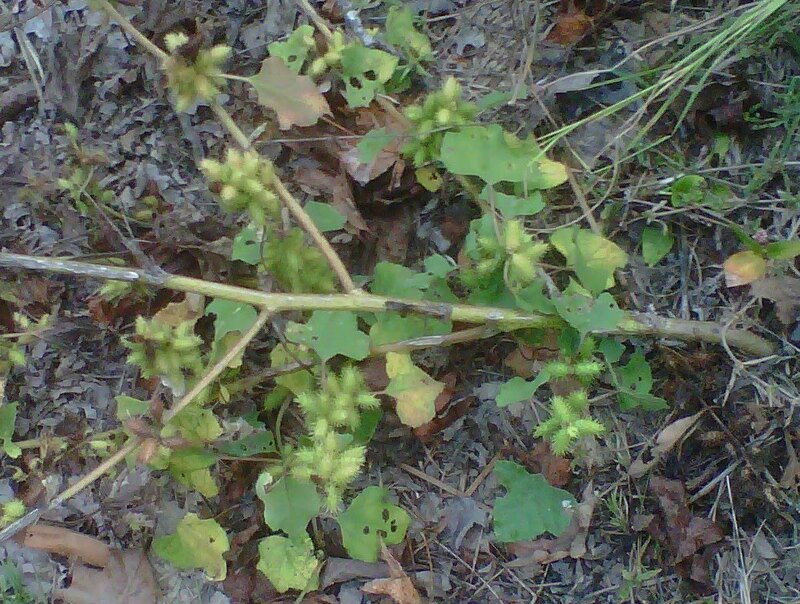 Here's one plant we found just ripening it's burrs. It's so late in the year that we've had a hard time identifying this dude, many of it's leaves are spent. Burrs may be a nuisance, but you have to give 'em credit for being the inspiration for velcro, which comes in very handy. BTW, velcro makes a great stocking stuffer for any dog lover, when you're out and about on Black Friday, BOL! It was George de Mestral who in 1941 (some say 1948) came up with the idea of velcro after coming back from a hunting trip with his dog who had picked up some of the nasties. Genius dog that was, I must say :) Just think if he wouldn't have picked up those burrs that day, just like Gracie, we may not have velcro in our lives! I always knew how annoying burrs could be but never thought of where they came from and also never realized they were the inspiration for velcro! Icky burs! My brother Muffit gets burs, but I don't as much. They don't like to stick to me! I'd heard the story that velcro was invented because of some sort of sticky seed, but I didn't know the doggy connection.